Richard fitz Gilbert de Clare (died 15 April 1136) 3rd Lord of Clare, was an Anglo-Norman nobleman. A marcher lord in Wales, he was also the founder of Tonbridge Priory in Kent. Tonbridge Priory was a priory in Tonbridge, Kent, England that was established in 1124. It was destroyed by fire in 1337 and then rebuilt. The priory was disestablished in 1523. The building stood in 1735, but was a ruin by 1780. The remains of the priory were demolished in 1842 when the South Eastern Railway built the railway through Tonbridge, the original Tonbridge station standing on its site. Richard was the eldest son of Gilbert Fitz Richard de Clare and Adeliza de Claremont. Upon his father's death, he inherited his lands in England and Wales. Gilbert Fitz Richard, was styled de Clare, de Tonbridge, and Lord of Clare. He was a powerful Anglo-Norman baron who was granted the Lordship of Cardigan, in Wales c. 1107–1111. The Clare family were a prominent Anglo-Norman noble house that held at various times the earldoms of Pembroke, Hertford and Gloucester in England and Wales, as well as playing a prominent role in the Norman invasion of Ireland. He is commonly said to have been created Earl of Hertford by either Henry I or Stephen, but no contemporary reference to him, including the record of his death, calls him by any title, while a cartulary states that a tenant had held "de Gilleberto, filio Richardi, et de Ricardo, filio ejus, et postea, de Comite Gilleberto, filio Richardi" ("of Gilbert Fitz Richard, and his son Richard, and then of Earl Gilbert Fitz Richard"), again failing to call Richard 'Earl' while giving that title to his son. Thus his supposed creation as earl is without merit, although his status and wealth made him a great magnate in England. There is an old photo document on the Wikipedia page for Tonbridge priory which states that the priory was founded by Richard de Clare EARL of (B.. illegible) and Hertfordshire. Henry I, also known as Henry Beauclerc, was King of England from 1100 to his death in 1135. Henry was the fourth son of William the Conqueror and was educated in Latin and the liberal arts. 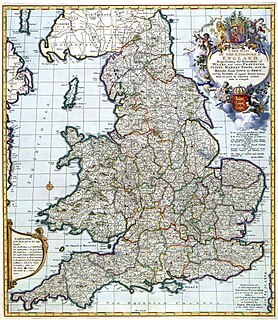 On William's death in 1087, Henry's elder brothers Robert Curthose and William Rufus inherited Normandy and England, respectively, but Henry was left landless. Henry purchased the County of Cotentin in western Normandy from Robert, but William and Robert deposed him in 1091. Henry gradually rebuilt his power base in the Cotentin and allied himself with William against Robert. Henry was present when William died in a hunting accident in 1100, and he seized the English throne, promising at his coronation to correct many of William's less popular policies. Henry married Matilda of Scotland but continued to have a large number of mistresses by whom he had many illegitimate children. A cartulary or chartulary, also called pancarta or codex diplomaticus, is a medieval manuscript volume or roll (rotulus) containing transcriptions of original documents relating to the foundation, privileges, and legal rights of ecclesiastical establishments, municipal corporations, industrial associations, institutions of learning, or families. The term is sometimes also applied to collections of original documents bound in one volume or attached to one another so as to form a roll, as well as to custodians of such collections. David I or Dauíd mac Maíl Choluim was a 12th-century ruler who was Prince of the Cumbrians from 1113 to 1124 and later King of the Scots from 1124 to 1153. The youngest son of Malcolm III and Margaret of Wessex, David spent most of his childhood in Scotland, but was exiled to England temporarily in 1093. Perhaps after 1100, he became a dependent at the court of King Henry I. There he was influenced by the Anglo-French culture of the court. Brian fitz Count was descended from the Breton ducal house, and became an Anglo-Norman noble, holding the lordships of Wallingford and Abergavenny. He was a loyal adherent of Henry I, King of England, and a staunch supporter of his daughter, the Empress Matilda, during the Anarchy (1135–1153). Ceredigion is a county in Wales, known prior to 1974 as Cardiganshire. During the second half of the first millennium Ceredigion was a minor kingdom. It has been administered as a county since 1282. Welsh is spoken by more than half the population. Ceredigion is considered to be a centre of Welsh culture. The county is mainly rural with over 50 miles (80 km) of coastline and a mountainous hinterland. The numerous sandy beaches, together with the long-distance Ceredigion Coast Path provide excellent views of Cardigan Bay. Gwent was a medieval Welsh kingdom, lying between the Rivers Wye and Usk. It existed from the end of Roman rule in Britain in about the 5th century until the Norman conquest of England in the 11th century. Along with its neighbour Glywyssing, it seems to have had a great deal of cultural continuity with the earlier Silures, keeping their own courts and diocese separate from the rest of Wales until their conquest by Gruffydd ap Llywelyn. Although it recovered its independence after his death in 1063, Gwent was the first of the Welsh kingdoms to be overrun following the Norman conquest. Owain ap Gruffudd was King of Gwynedd, North Wales, from 1137 until his death in 1170, succeeding his father Gruffudd ap Cynan. He was called "Owain the Great" and the first to be styled "Prince of Wales". He is considered to be the most successful of all the North Welsh princes prior to his grandson, Llywelyn the Great. 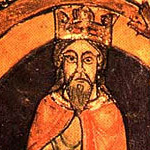 He became known as Owain Gwynedd to distinguish him from the contemporary king of Powys Wenwynwyn, Owain ap Gruffydd ap Maredudd, who became known as Owain Cyfeiliog. Gruffudd ap Cynan, sometimes written as Gruffydd ap Cynan, was King of Gwynedd from 1081 until his death in 1137. In the course of a long and eventful life, he became a key figure in Welsh resistance to Norman rule, and was remembered as King of all Wales. As a descendant of Rhodri Mawr, Gruffudd ap Cynan was a senior member of the princely House of Aberffraw. The Principality or Kingdom of Gwynedd was a Roman Empire successor state that emerged in sub-Roman Britain in the 5th century during the Anglo-Saxon settlement of Britain. Rhys ap Gruffydd or ap Gruffudd was the ruler of the kingdom of Deheubarth in south Wales from 1155 to 1197. Today, he is commonly known as The Lord Rhys, in Welsh Yr Arglwydd Rhys, although this title may have not been used in his lifetime. He usually used the title "Proprietary Prince of Deheubarth" or "Prince of South Wales", but two documents have been discovered in which he uses the title "Prince of Wales" or "Prince of the Welsh". Rhys was one of the most successful and powerful Welsh princes, and, after the death of Owain Gwynedd of Gwynedd in 1170, the dominant power in Wales. Richard de Clare, 3rd Earl of Hertford, lord of Clare, Tonbridge, and Cardigan, was a powerful Norman nobleman with vast lands in England and Wales. 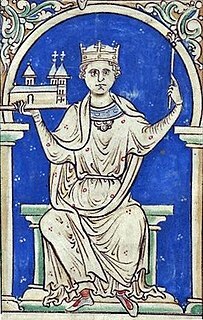 Roger de Clare, 2nd Earl of Hertford, 5th Lord of Clare, 5th lord of Tonbridge, 5th Lord of Cardigan (1116–1173) was a powerful Norman noble in 12th-century England. He succeeded to the Earldom of Hertford and Honor of Clare, Tonbridge and Cardigan when his brother Gilbert died without issue. The Castle of Dinerth is a Welsh castle located near Aberarth, Ceredigion, west Wales that was completed c. AD 1110. It is also known as Hero Castle, presumably from the Norse hiro. Gilbert fitz Gilbert de Clare, was created Earl of Pembroke in 1138. Richard fitz Gilbert, was a Norman lord who participated in the Norman conquest of England in 1066, and was styled "de Bienfaite", "de Clare", and of "Tonbridge" from his holdings. Gilbert FitzRichard de Clare, 1st Earl of Hertford, was Lord of Clare and created Earl of Hertford by Stephen, King of England. Cardigan Castle is a castle overlooking the River Teifi in Cardigan, Ceredigion, Wales. It is a Grade I listed building. The castle dates from the late 11th-century, though was rebuilt in 1244. Castle Green House was built inside the castle walls in the early 1800s. After falling into disrepair the castle was restored in the early 2000s and opened to the public in 2015. It is owned by Ceredigion County Council and now includes a heritage centre and open-air concert facilities. Anarawd ap Gruffydd was a Prince of Deheubarth in Southwest Wales. Baldwin de Redvers, 1st Earl of Devon, feudal baron of Plympton in Devon, was the son of Richard de Redvers and his wife Adeline Peverel. The Battle of Crug Mawr, sometimes referred to as the Battle of Cardigan, took place in September or October 1136, as part of a struggle between the Welsh and Normans for control of Ceredigion, West Wales. Cadwaladr ap Gruffydd was the third son of Gruffudd ap Cynan, King of Gwynedd, and brother of Owain Gwynedd. 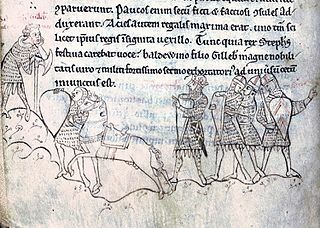 The Battle of Lincoln, or the First Battle of Lincoln, occurred on 2 February 1141 between King Stephen of England and forces loyal to Empress Matilda. 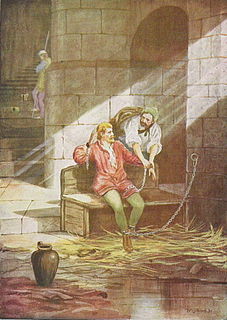 Stephen was captured during the battle, imprisoned, and effectively deposed while Matilda ruled for a short time. This article is about the particular significance of the century 1201–1300 to Wales and its people. This article is about the particular significance of the century 1101 - 1200 to Wales and its people. ↑ White 2016, p. 121-122. ↑ Katherine Keats-Rohan,(2002).Domesday Descendants: A Prosopography of Persons Occurring in English Documents 1066-1166 : II Pipe Rolls to Cartae Baronum.p.658, and 245. White, Graeme J. (2016). "The Legacy of Ranulf de Gernons". In Dalton, Paul; Luscombe, David. Rulership and Rebellion in the Anglo-Norman World, C.1066–c.1216: Essays in Honour of Professor Edmund King. Routledge. Round, John Horace (1887). "Clare, Richard de (d.1136?)". In Stephen, Leslie. Dictionary of National Biography . 10. London: Smith, Elder & Co.